Apple cider vinegar or ACV is nothing new. It’s something you’ve likely seen before, and even if you’re not familiar with its amazing versatility in your home, you may even have some handy – just in case. Well, let’s get you up close and personal with ACV otherwise known as the elixir of the gods. Okay, maybe not, but you might reconsider such a bold statement once I let you in on a few secrets! Apple cider vinegar is basically exactly what it sounds like – a vinegar derived from cider or apple must, giving it a slightly sweet flavor and it’s distinct amber gold color. This fermented food often contains the ‘mother,’ which looks kind of like a SCOBY if you’re familiar with kombucha. Don’t be put off by the weird, webby thing in your bottle. That just means you’ve got the good stuff! ACV has quite a lot going for it with an influx of recent praise and health claims. Today, I wanted to share with you some of the key benefits of ACV, how you can use it at home, and why you should always have at least two bottles of it. Because of its unique properties, apple cider vinegar has a few noteworthy benefits for both overall health and well-being and beauty. It’s nutritious. Apple cider vinegar contains vitamins B1, B2, and B6, in addition to a nice dose of immune-boosting vitamin C, folic acid, biotin which is great for hair growth, and niacin. Furthermore, you can find important trace minerals including iron, calcium, sodium, magnesium, potassium and phosphorous. It helps to regulate your blood sugar levels. Blood sugar can be a finicky thing for some folks and balance takes work. It comes down to what you put into your body. For example, it gets thrown off when you take in a lot of quick carbs or sugar. Your body runs right through it and it drops just as quickly as it spikes, leaving you seeking even more energy. This is why blood sugar regulation is such an important component of weight loss. This research shows that consuming vinegar after a meal can decrease the body’s glycemic response. Glycemic load is used to describe how much a food will impact blood sugar. It contains acetic acid. Acetic acid is what gives apple cider vinegar its taste and its main constituent. It’s commonly used in folk medicine, and it’s known to have a few key benefits. Some theories include it’s potential to swiftly move carbohydrates from the bloodstream to the muscles for glycogen replenishment after a workout in addition to slowing down digestion, helping you feel fuller for longer and reducing blood sugar impact. It might also help manage blood pressure and reduce fat accumulation, once again making ACV a great choice for individuals with weight loss goals. Finally, acetic acid may be particularly useful for people with type 2 diabetes due to its ability to reduce hyperglycaemia, hyperinsulinaemia, and hypertriglyceridaemia according to this study. It’s antibacterial. Many people are familiar with using vinegar for natural cleaning products around the house because of its effectiveness. This is because vinegar and the acetic acid found in it is naturally antibacterial, giving your counter tops the love and care they deserve. These properties also make vinegar a useful food preservative as they will ward off harmful bacteria growth. Lastly, it can be antibacterial for skin which is why it makes a great acne fighting toner. It’s great for weight loss. I already mentioned a few components of apple cider vinegar that can aid in weight loss, but there are a few other important considerations. Because of its role in blood glucose levels and insulin levels, it can also help increase satiety – particularly after a carb-heavy meal – according to this study. Naturally, these interactions with acetic acid and our body’s subsequent interpretation of the glycemic load of our meals leads to an overall lower calorie intake. This research shows that subjects who supplemented with ACV ate 200-275 fewer calories per day. That deficit is equivalent to a rate of loss at a pound per two weeks! It can reduce “bad” cholesterol. Many people struggle with high cholesterol levels, often attributed to poor diet. While cleaning up your daily intake, increasing vegetables, and avoiding refined oils/carbohydrates is key to maintaining healthy levels, ACV can also work wonders. This animal study performed on diabetic rats showed that supplementation increased HDL cholesterol (or good cholesterol) and decreased LDL cholesterol (or bad cholesterol). It’s great for skin health. Like I mentioned above, ACV can kill bacteria so it works as a natural cleansing toner to remove any gunk hanging out in your pores. It can also help to lighten scars and reduce dark spots, evening out the color and pigmentation of your skin. It can increase stomach acid. Many people think symptoms of acid reflux are due to too much stomach acid, but this is a pretty common misconception. While that may be true in some cases, many people suffer from reflux due to having too little stomach acid. It only makes sense that consuming an acidic substance can help replenish stomach acid stores in the gut and treat symptoms. It can improve gut health. Fermented foods contain probiotics which help balance gut flora. Essentially, this good bacteria is introduced to the gut which keeps the community living inside of you healthy. Moreover, probiotic foods improve gut permeability which basically means that the good bacteria stays in while the bad bacteria is closed off. Now that we have a general idea of how apple cider vinegar works in the body, an understanding of its main constituent acetic acid, and some of its most powerful properties, let’s put it all into play! Just drink it! Personally, one of my most beloved morning rituals is an ACV shot. If you’re feeling up to the challenge or you’re already accustomed to the taste, you can simply down 1-2 tablespoons on its own. Otherwise, you can dilute it in a glass of water or juice to sip on. This is most effective on an empty stomach. Use it after a carb-heavy meal. Following the same guidelines as I mentioned above, you can mitigate the negative effects of carbohydrates on the body’s blood glucose levels after a particularly decadent meal including bread or starch for steadier blood sugar and reduced cravings. Use it in a salad dressing. A standard vinaigrette is just oil, vinegar, and seasoning. Swap out white wine vinegar for ACV to make a tangy and delicious dressing to top off your leafy greens with or use as a marinade. Use it on a sunburn. If you forgot your SPF or fell asleep on the beach for a little too long, ACV can help reduce the pain of a sunburn. Add some to a bath with your favorite essential oils and coconut oil for a soothing skin treatment. Use it as an effective skin toner. Toner gently cleanses the face and balances out the color while simultaneously hydrating. It’s a must-have in your skincare routine, and you can easily make some at home with a little ACV and your magic touch. Mix about 1/4 cup with 1/4 cup of witch hazel, and some essential oils for scent if you like. Use a soft cloth or cotton ball to dab on to the skin after washing and before using lotion. Use it to clean your house. Make an all-purpose cleaner by mixing ACV and water at a 1:1 ratio. You can add 3-4 drops of essential oils for scent if you’d like. Use it as an insect deterrent. Pour a bit of ACV into a glass with a drop of dish soap. This will attract pesky bugs in your kitchen without the use of harsh chemicals. This is especially useful if you have pets! Use it to cure DOMS. DOMS or delayed onset muscle soreness can be a huge pain after a tough workout. ACV acts as an antidote and can help you get back into the gym quicker while reducing pain by breaking down the lactic acid buildup that happens in the muscles. Use it to naturally whiten teeth. Most commercial teeth whiteners are pretty heavy on unnatural ingredients. Gargle with ACV to help rid your mouth of bacteria and naturally whiten your teeth. Use it as a fabric softener. Fabric softener is also pretty ridden with chemicals. The smell alone can be overwhelming to sensitive noses, and the ingredients can irritate skin. Add a cup of ACV to your laundry to keep your clothes soft and long-lasting. Use it as a hair rinse. If you don’t wash everyday, ACV can help stabilize and normalize the oil content of your hair and scalp, giving your hair the boost it needs in between washes. While ACV is a kitchen and beauty routine staple for many, there are a few things to watch out for. It’s important to start small when ingesting ACV. If you’re just starting out with supplementation, begin with 1-2 teaspoons as you work your way up to 1-2 tablespoons. Otherwise, it could potentially cause some digestive distress. It can also contribute to or cause gastroparesis which is delayed emptying of the stomach. This means that your food is just kinda sitting around for awhile in the gut which we want to avoid. For some people, slowing down the digestive process can be great because it has positive effects for blood sugar management. On the other hand, some people should be careful – namely, those with type 1 diabetes. Limit your consumption to 1-2 tablespoons per day. A significantly larger amount can contribute to low potassium levels and leaching of minerals from the bones, ultimately leading to osteoporosis. Like with soda and even seltzer water and juice, it’s important to remember an acid is an acid. Acid can wear down enamel and cause tooth damage if consumed in excess. If you stick to the recommended daily dosage of ACV, you shouldn’t run into any problems. This is a fair warning to folks who already have compromised tooth health or have severely worn enamel as supplementation can worsen the damage. Check with your dentist if you have the go-ahead first in case you’re concerned. Last but not least, there are rare cases in which an individual might discover they have an allergic reaction to apple cider vinegar. This reaction may be a standalone reaction, or it may be caused by an undesirable interaction with medication. Check with your doctor before beginning an ACV regimen, and note the potential conflict with any medications you take before using. If you’re looking for the condensed version, here’s the main takeaway: buy your ACV with the mother! One of the most wonderful benefits of apple cider vinegar is the fact that it’s a fermented food. That fermentation process affords us the ability to take advantage of all that great bacteria for our guts. The mother is the cobwebby thing that lay on the bottom of the bottle. You’ll generally find the mother in unpasteurized apple cider vinegar. It’s easy to tell if the product has been pasteurized because the color will generally be much lighter and more opaque. The unpasteurized ACV is superior in terms of both nutrition and beneficial properties. Looking to DIY it? That’s the spirit! That’s how you can always ensure you’re getting the freshest product and the most bang for your buck in terms of health benefits. Here is a simple recipe to get you started. Fill your clean jar 3/4 of the way full with apples or apple scraps. Pour in water to submerge the apples entirely. Apples exposed to air will be vulnerable and mould during the fermentation process. Mix in your sweetener of choice – the sweetener is essential as the bacteria “feeds” on it during fermentation. Cover your jar with a cheesecloth and secure with an open jar lid or a rubber band. Fermentation requires air, but you also don’t want to attract flies. Let it sit for 3 weeks. Mix the ACV blend once or twice per day to make sure the apples are staying submerged. After 3 weeks, strain the apples and cover with the cheese cloth. Let it sit for an additional 3-4 weeks to complete the process. Stir occasionally. Let us know in the comments how you use ACV and what benefits you’ve seen. We’d love to hear from you. If you liked this article, make sure to hit share too! 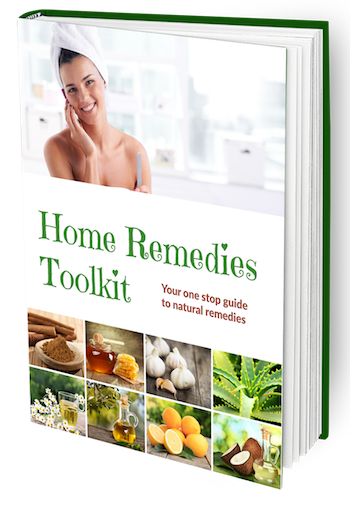 Want More Home Remedies You Can Use Around Your Home?